Your home, office or home office can be your sanctuary even when deadlines loom. Mitigate the stress of your work surroundings by bringing the intrinsic calm of nature into your office space. From the selection of natural elements to green design, there are many ways to connect with nature even when you’re trapped between four walls. Here’s some inspiration to help transform your work space into a lively zen zone. It’s easier to pull together a complete look with a theme in mind. Are you thinking Japanese garden, have an affinity for hot air balloons, need a forest feel or love the beach? 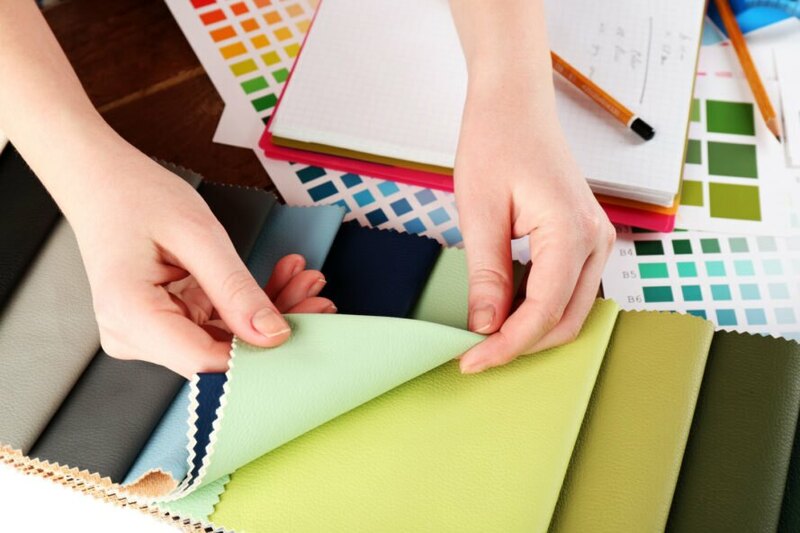 When planning, think about the colors, sights and sounds associated with that activity or space. Choose scents, colors, textures and green designs that represent your favorite natural places. For an all-encompassing natural environment, set up a station on your favorite listening app and enjoy tropical birds, ocean waves, wind or simple meditative sounds as you work. If you have the ability to design your own space, start with a wall color that screams nature. From seafoam to forest green right through greys, browns and blues, there are endless options for your wall color. For a bolder look, you could have someone paint a mural or use a premade wall wrap with a forest or ocean print. Wallpaper is another option for all or part of your space, especially if you don’t have any windows where you can actually see the world during your work day. Your eyes can play tricks on you, and that is not always a bad thing. Surrounding yourself in outdoor decor can visually transport you from the monotonous task at hand to a sandy beach with an umbrella drink until you are able to make it there in person. Again, follow your theme if you wish, but always select pieces that bring you joy. For some, that might be a framed photo of a bike race and for another it might be the profile a person standing on the summit of a mountain. Choose wall decor with your outdoor happy place in mind. Then, accentuate that theme around the room with seashells, pinecones, wood carvings, glass floats, rocks and a snuggly theme-printed blanket. Plants obviously grow in nature, therefore making them the most obvious way to bring the outdoor world inside and a touch of green to your day. Depending on the size of your work space, you could have a single plant or an entire wall of them. For a desk in a cubicle, think about plants that will thrive without direct sunlight. If you are blessed with a window to the outdoors, take advantage of the filtered or focused light. Add plants to bookcases and file cabinets to surround yourself in greenery. Many plants are forgiving enough to survive less-than-ideal growing conditions. Put a spider plant up high so it can drape down the sides. For your desk, incorporate succulents, cactus or bamboo. Even fresh flowers, rotated out frequently, will bring a smile when you enter your space. Remember to stay away from wildflowers and strong scents if you share a space with others who might be allergic. In addition to artificial scents, bring in the real thing every chance you get. Open the windows regularly and swing open the door— if you have one. Combine sounds and smells with natural wood or seashell wind chimes. Set fragrant flowers near the window to encourage the pleasant scent to waft through the space. In addition to the visual aspect of your office design, remember to feed the other senses too. Part of the joy of nature is the scents that surround you while you paddleboard or meditate. The good news is that you can bring those scents into the workplace to bring a little calm to your day. Candles or incense (again consider the allergies of others) can remind you of that Caribbean vacation or afternoon in the salty beach air. Musky or woodsy aromas take you right to the forest. 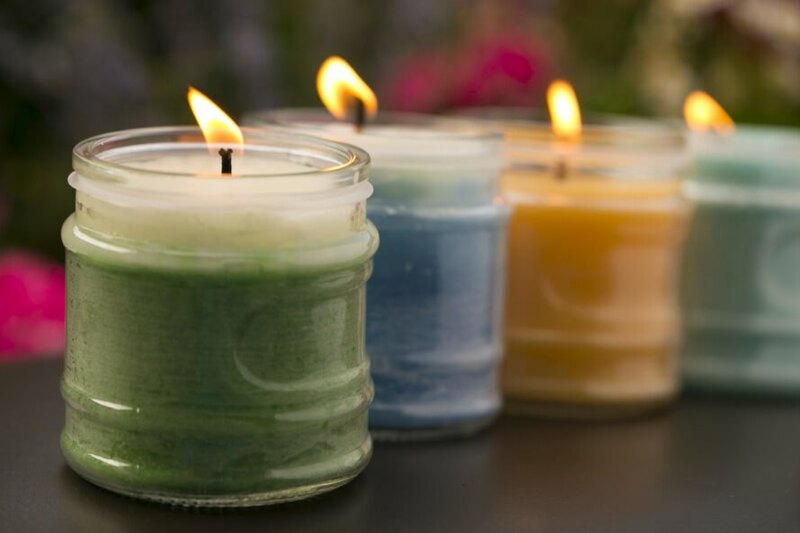 If candles are too strong of a scent, try bringing in natural woods. Think of the smell when you open a cedar chest or lay fresh bark dust and you’ll see what we mean here— maybe some driftwood from a recent trip or pinecones you’ve collected at some point. Another way to feed the need for the outdoor sensory experience is through the sounds of moving water. Even a small desktop fountain can help muffle the sounds from the neighboring cubicle and help maintain focus. For a larger space, you can bring in a freestanding wall water feature or other fountain. With so many varieties available you can create the sound you want through material selection and size. The further the water falls, the louder the sound and remember that wood mutes the sound more than rock and other materials. If you have the opportunity to design your space from the ground up, consider each material carefully. For example, go with a natural wood flooring option in either a hardwood or laminate material. Select soft, natural window coverings that allow light into the room. Even desk accessories can bring a natural element when you select bamboo instead of metal or plastic. Just because you are saddled up to a desk doesn’t mean you have to lock the outdoors out. Instead, envision where you want to be and surround yourself with those green elements. Remember to consider all of the senses when you brainstorm ideas and make your workspace a retreat that inspires. 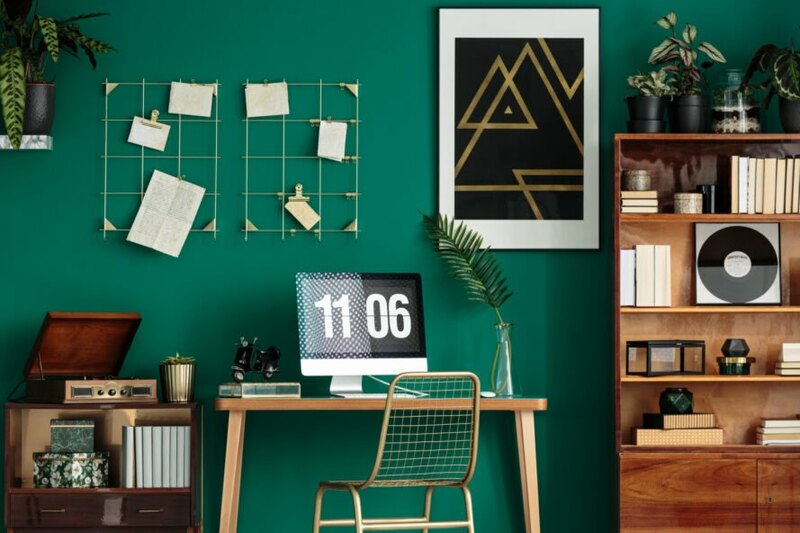 Add green natural elements to your office to brighten your day. Have a theme in mind for your office decor? Don't be afraid to implement bright decor. For a touch of color and greenery, try painting a wall a vibrant color. 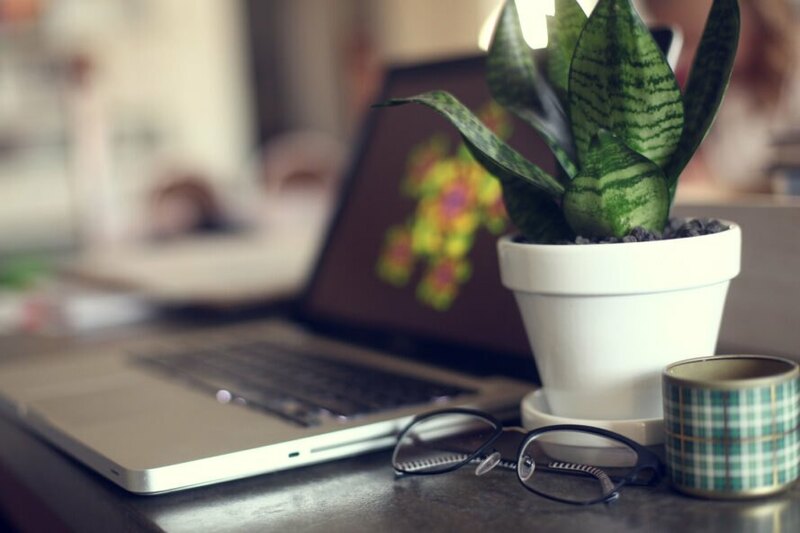 Adding something as simple as a plant to your desk can instantly change your mood. Scented candles are a great way to bring nature indoors. 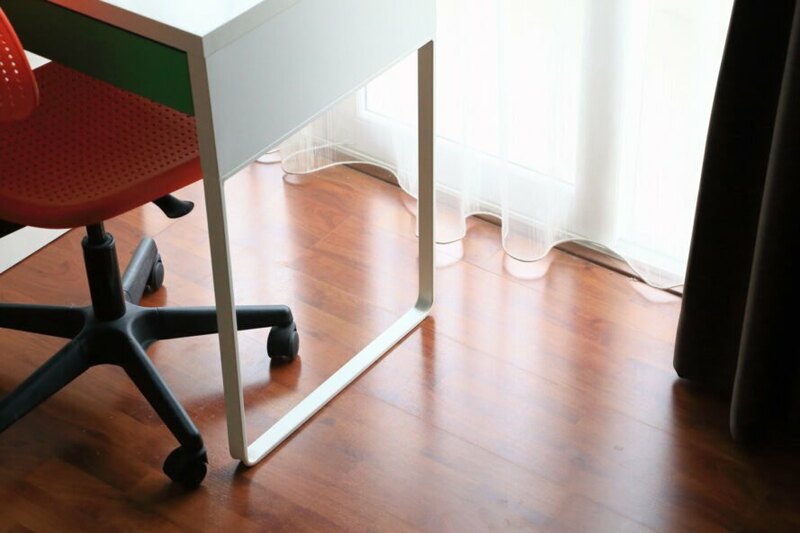 If possible, be sure to add hardwood floors to your office.